A one-two punch of Rapala® and VMC® tackle helped Bassmaster Elite Series rookie Patrick Walters launch his pro career in impressive fashion last week in Florida. Included in his fourth-place total weight of 91 pounds, 14 ounces, was a one-day limit of five bass weighing a whopping 32 pounds, 15 ounces. 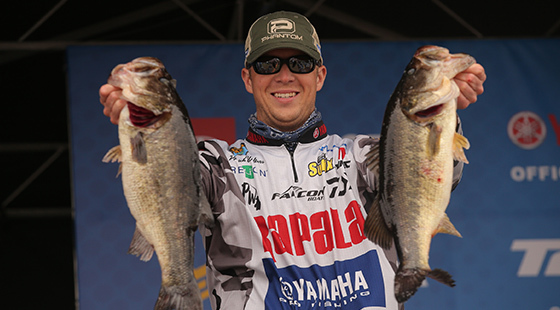 Walters, 24, a former University of South Carolina college fishing champion and Bassmaster Opens stand-out, is the newest member of Rapala’s Pro Team. The splash he made last week in his first-ever Bassmaster Elite Series tournament did not surprise Rapala Field Promotions Manager Dan Quinn. Targeting mostly reed-heads, isolated reeds and other emergent vegetation, Walters’ first productive flippin’ set-up comprised a 3/8 oz. 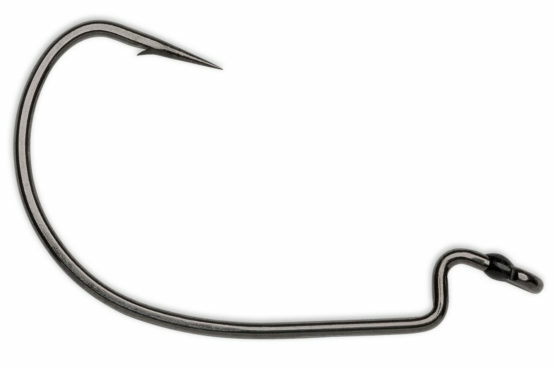 VMC tungsten weight, a 4/0 Heavy Duty Flippin Hook and a soft-plastic worm. As conditions changed, he continued to catch fish by switching to a set-up that comprised a 3/16 oz. VMC tungsten weight, a 4/0 VMC Heavy Duty Wide Gap and a soft-plastic stick bait or worm. All the fish he weighed came into his boat on prototype 20-pound Sufix® Advance® Fluorocarbon line. Although sight-fishing wasn’t his main program, Walters did on Day 2 catch some fish off spawning beds – including a 6-pounder – by triggering reaction bites with a VMC Tokyo Rig, a new product in which he is quickly gaining increasing confidence. Imagine a drop-shot rig on steroids — with a big hook and indestructible metal leader — and you’ve got the picture of a Tokyo Rig. It features a VMC Heavy Duty Wide Gap Hook, barrel-swivel, welded O-ring and a rigid wire dropper arm to which anglers can attach a weight or two of their choice. On the St. Johns River, Walters dressed his Tokyo Rig’s dropper arm with two 1/8 oz. VMC Tungsten Worm weights situated back to back, with a glass bead separating them. He dressed his hook with a soft-plastic stick bait and dragged it onto spawning beds, making a commotion by shaking the rig to make his weights clack against the bead. A Terminator® Walking Frog accounted for some of Walters’ fish as well. “Every day the bite changed,” Walters said onstage after weighing in a limit of 21 pounds, 9 ounces on Championship Sunday. In addition to Rapala, Walters represents VMC terminal tackle and Sufix line as well. Each is a Rapala Respected Brand. Tackle in the Rapala family of brands that Walters will rely on to catch fish this season – in both Elite Series and Bassmaster Eastern Open tournaments – include DT-series crankbaits, Storm Wiggle Warts, VMC Tokyo Rigs and VMC Neko Hooks. Today, Walters is on the water on Georgia’s Lake Lanier, finding fish in the second day of the official practice period for the second Bassmaster Elite Series event of the year. The tournament will be contested Feb. 14-17. 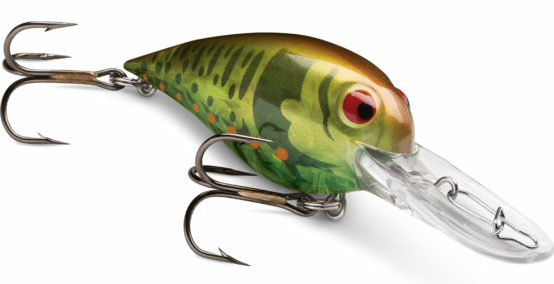 In a pre-season interview, Walters said “Lanier is the big one I’m looking forward to,” and predicted that Rapala DT-6’s, DT-10’s and Wiggle Wart will be key baits.